I’m thankful and lucky for the life I’ve been given, but not everyone is as fortunate as I was. I was born in Seoul, South Korea and when I was only seven months old a family in the United States adopted me. I was adopted through the agency, Holt International Children’s Services. Without this adoption agency, I wouldn’t be the person I am today and wouldn’t have the loving, supportive family I have now. 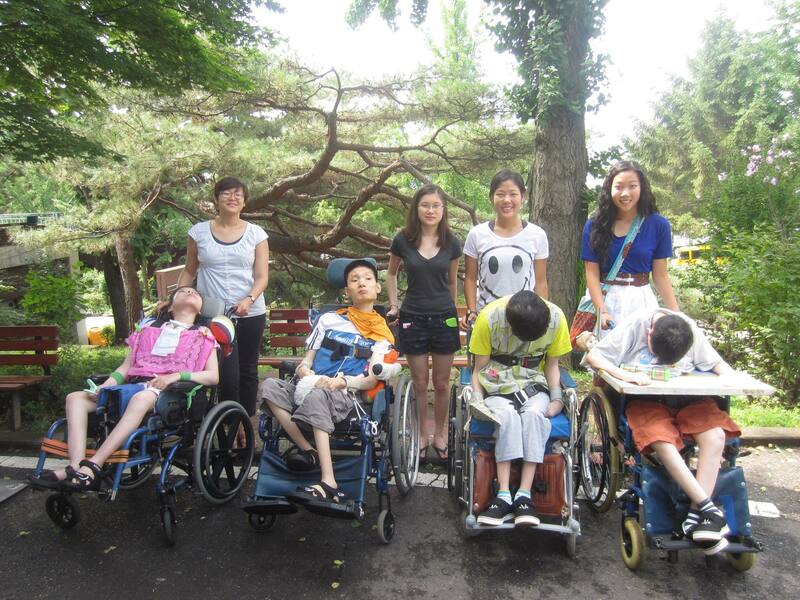 Holt International Children’s Services not only helped me and hundreds of other children find “forever” families, but they also help disabled people in South Korea through their community located in Ilsan, S. Korea. I have been able to visit this community for mentally and physically disabled people several times. Holt International Children’s Services started with two people who wanted to make a difference in the lives of hopeless war orphans in South Korea. These two people were Harry and Bertha Holt. Harry Holt had heard about these children in South Korea left on the streets without a home or a family due to the catastrophic events of the war. Harry and Bertha decided to adopt eight Korean War orphans into their family and brought them to the United States. Unfortunately, they both knew that there were thousands of other children still left in South Korea who didn’t have families or homes. That is how they started the Holt Adoption Agency. They knew it was the right thing to do and wanted to make a difference in the lives of these children. Not only did the Holts help war orphans, but they also helped the mentally and physically disabled people in South Korea. 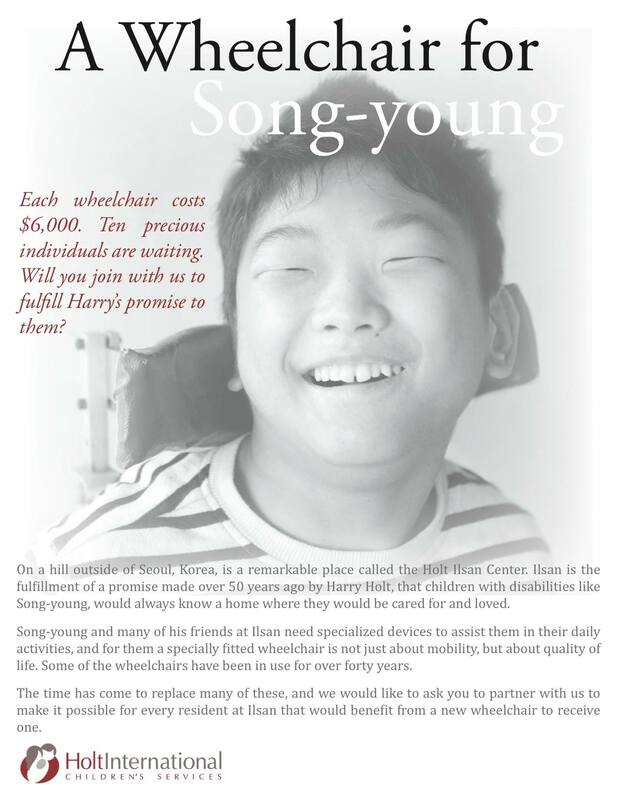 Holt Ilsan is a community for mentally and physically disabled people that Harry Holt created. Harry had gone back to Korea wanting to also make a difference in the lives of people who had a disability. The people living at Holt Ilsan are called residents and they have the opportunity at Holt Ilsan to have a family, get a job, and learn to work with their disability. Some of the people at Holt Ilsan are too disabled to do anything, but there are so many people volunteering there who want to help them. Over the years since I came to the United States, I’ve visited South Korea five times and every time I’ve visited Holt Ilsan. The first time I went back to South Korea I was with my mother on a Holt Christmas Gift Team trip. This trip was organized by Holt and we travelled around South Korea bring presents and Christmas cheer to baby homes, unwed mothers’ homes, and the people living at Holt Ilsan. Handing out Christmas presents to the residents living at Holt Ilsan was eye opening for me. These residents not only got excited for their single present, which was a pair of socks or a pot to cook in, but were also overjoyed with excitement to have us there and to be able to celebrate with us. This has drawn my heart back to Ilsan every time I visit South Korea and the reason why my sister and I decided to volunteer there over the summer of 2012. We wanted to help and be a part of making a difference in those people’s lives, but what we didn’t know was that the residents were impacting our lives so much more. Volunteering there over the summer was an amazing experience. The residents living at Hot Ilsan showed me how much they appreciate their lives and the small things in life. It makes me think about my own life and how much I complain when I’m sore after a workout or when I complain about not having a very good day, but here these people are happy to just be able to be with you. They make you appreciate life so much more and realize how special it is. Even after being lucky enough to volunteer at Ilsan over the summer, I kept wanting to do more. I ended up getting busy with school and then starting college. At the beginning of this year I realized I hadn’t done anything with Holt in a while and wanted to do something. I contacted Holt and asked if there was anything I could do. 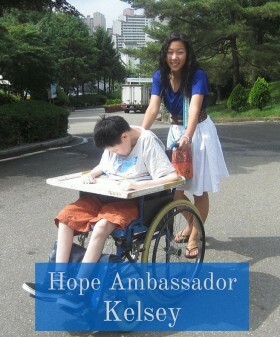 I was told the there were 10 individuals at Holt Ilsan who were in need of new wheelchairs. Each wheelchair costs around $6,000. This is because they want to get new advanced, electronic wheelchairs. Right now, most of the residents have the old push kind that are torn and wearing down, which makes it harder for the residents to get around the hilly parts in Holt Ilsan. Holt Ilsan is located on a hill in South Korea and if the residents want to go anywhere around the gated community, then they have to have someone push them. My family is in the process of moving this year and my mother told me if I wanted to put the work into setting up a garage sale with the items we no longer needed or weren’t taking with us to the new house, then I could donate all the money I made to Holt. A garage sale was a perfect way to raise money for the wheelchairs. I wouldn’t have been able to get the garage sale ready without all the help from my parents, neighbors, and family friends! Also, it wouldn’t have been the success it was without all of the people who donated items and tables for me to use in my garage sale. With all their help and of course with the help of everyone stopping by and purchasing items, we were able to raise a little over $2.5k. This project hasn't quiet raise enough money for a new wheelchair, but that hasn’t stopped me. I’m still trying to figure out ways to raise more money for this cause I’m passionate about. This is my way of giving back to Holt and helping other people in need. I want to try and help those that have shown me there’s so much joy in the little things in life. 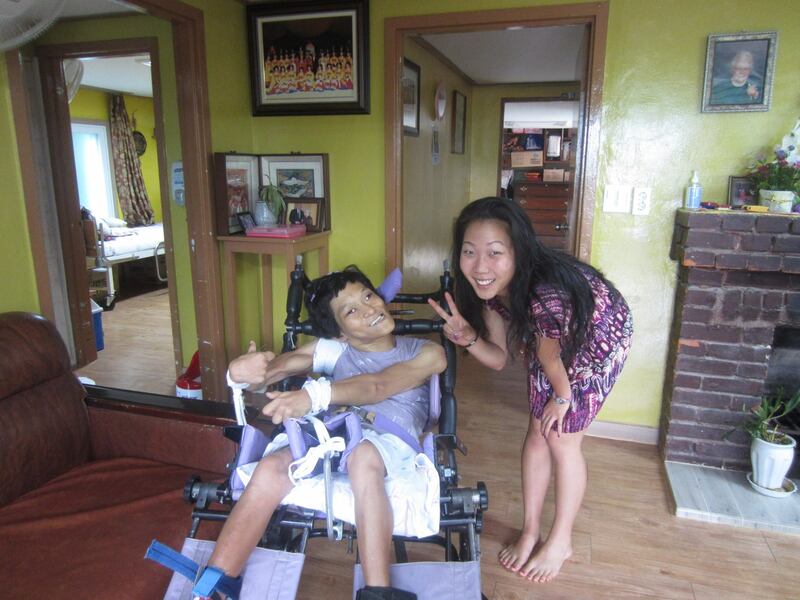 I can’t wait to go back to Holt Ilsan and watch the joy on the resident’s faces who are riding around in the new wheelchairs!